If you want to start a business, stop thinking of the traditional business models and venture into online businesses. Provided you have a laptop, an internet connection and the requisite skills, online businesses can be a piece of cake. What’s more – they are easier to start and they require minimum capital compared to offline businesses. The list below gives you a variety of online business ideas that you can choose from. It is common knowledge that an excellent resume and a well written cover letter can land you a well paying internship or job. However, not most of us are highly skilled to write the best resumes and cover letters and we may need help. If you are great at that, then you can start providing your services online. Most companies today need virtual assistants to help them in their day to day tasks. If you like running errands, then you can start your own virtual assistance agency and outsource your clients online. Most businesses will require individuals with the requisite skills to train them on effective business management. If you can do this, then you can actually start your own business coaching agency and connect with your clients using online platforms. If you are an expert in website design and development, then this can be your next business venture. Most companies nowadays recognize the importance of maintaining a nice looking website. Have your own great looking website, designed and hosted by you, to promote and drive clients to your business. Compared to traditional retail stores, online retail stores are easier to maintain. You need fewer employees and you evade expenses you may have to be charged for in a traditional retail store. Apart from having an online retail store, you can just choose to be retailing your goods using social media such as Facebook. If you are great at writing, then you may have actually thought of starting your own blog. Strive to generate more traffic to your blog since the greater the traffic, the higher the income you get. If you are an expert at S.E.O, why not use your knowledge and expertise to earn income? Most companies have recognized the importance of S.E.O when setting up their blogs and websites and they will be more than willing to invest in your services. If you have a great idea to develop an app that can solve common day to day tasks, go ahead and develop the app, then sell it to potential investors. Don’t worry if you don’t know how to code, there are many app development experts and companies that may buy your idea and help you to develop the app. If you like browsing on social media pages, then you should consider starting your own business from your hobby. Most business owners recognize the impact social media can have on their businesses, but they neither have the time nor the requisite skills. Using online platforms, you can build a great clientele as a social media consultant. Affiliate marketing is a new strategy used by many entrepreneurs today. It can be very lucrative if you build a large number of referrals. 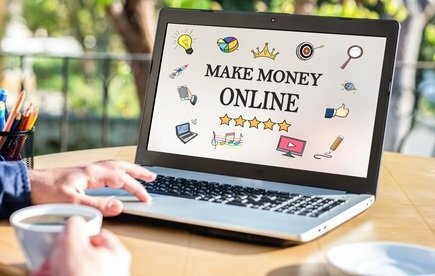 There are many affiliate marketing companies that you can register with and start your first online business. If you have the appropriate skills, and the ambition to start your own business, then these online business ideas will be just what you are looking for to give you your big break.